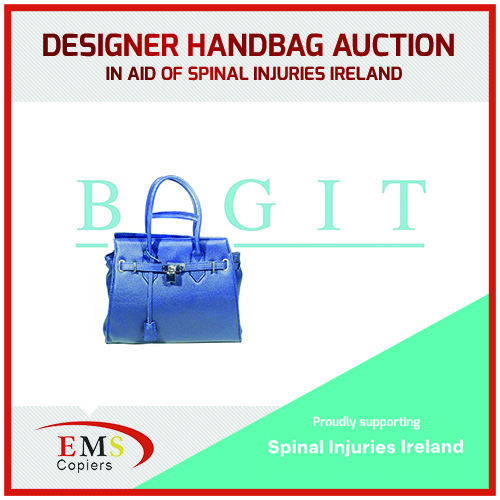 EMS are delighted to support our valued customers Spinal Injuries Ireland with their Bag It! designer handbag auction. If you’re a fan of Prada, Jimmy Choo, Mulberry, Chloe, Yves St Laurent and Celine then get yourself along to Harvey Nichols Restaurant on Thursday 7th April at 6.30pm and support this fantastic cause.